Winthrop closed between Foster & Berwyn Reviewed by Edgeville Buzz on June 19, 2009 . 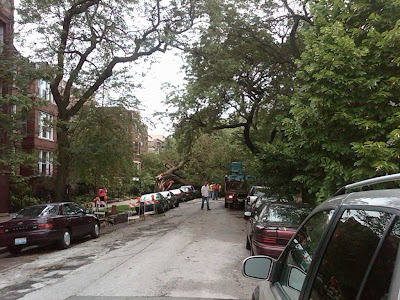 Today’s storms knocked this tree down onto a car and blocking Winthrop Avenue between Foster and Berwyn. Streets and Sanitation are on the scene. If you know of other storm damages, let us know.